Acupuncture encourages the body’s innate self-healing process to take effect by balancing the flow of Qi. ‘Qi’ can be thought of as our animating life force and interconnects all body systems through the Meridian channels. When Qi becomes blocked or stuck due to many possible factors such as stress, injury, overwork or poor diet, disease can arise and symptoms manifest. Treatments involve inserting super-fine sterile needles at specific points along the meridians, encouraging the Qi throughout the body to regulate. Through treating the surface of the body in a gentle and non-invasive manner, change can be affected internally that supports both relief of symptoms and strengthens resilience for disease prevention. Unlike other needles used for blood tests or injections, Acupuncture needles are hair-fine and often can are only mildly felt. Some points around the body may be more sensitive though your practitioner will make every effort to ensure your comfort. Overall the experience of Acupuncture tends to be enjoyable and relaxing, helping balance and ‘reset’ your system. Traditional Chinese medicine (TCM) is an approach to health and wellbeing that has been refined over thousands of years. It encompasses various forms of treatment including Acupuncture, Chinese herbs and nutritional guidance. 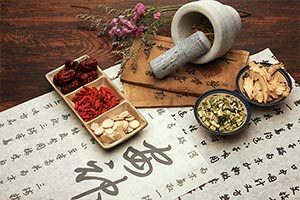 TCM is both an art and a science, combining rigorous understanding of disease patterns and treatments with the importance of insight and intuition. Within this holistic modality the individual is seen as a dynamic, interconnected system where physical, emotional, mental and spiritual health mutually affect one another. • Women’s health: Period pain, pre-menstrual tension, pregnancy support (nausea, backache, pre-labour support), pre-conception care, IVF support. • Digestive health: IBS, bloating, Crohn’s, nausea, heartburn. • Emotional and mental wellbeing: Stress, anxiety, insomnia, fatigue. • Structural health: Neck/back pain, sciatica, headaches. The use of Chinese Herbs is an integral part of Traditional Chinese Medicine. 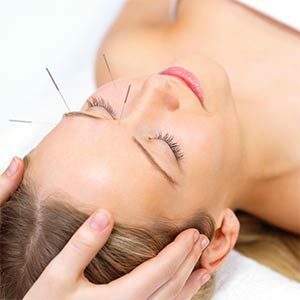 It enhances and complements Acupuncture treatments, providing ongoing support between appointments . There are many different herbs used including roots, fruits and seeds. These are combined into classical formulae to address a wide range of health issues including fatigue, digestive issues, menopausal symptoms, anxiety and stress. Herbal remedies are predominantly administered in pill and capsule form which are effective and easy to take. Powder, tea or tincture forms are also used. Clients are prescribed a formula according to individual needs identified by symptom assessment and tongue and pulse diagnosis. 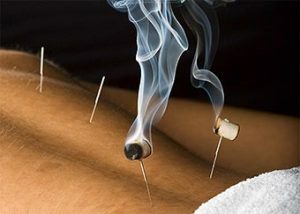 Moxibustion is a traditional Chinese medicine technique that involves the burning of mugwort, a small spongy herb, to facilitate healing. The moxa is lit and smoked in a box resting on the stomach or in conjunction with needles. It is used on people who have cold or stagnant conditions to warm the meridians, which stimulates circulation and induces smoother flow of blood and qi. This method is extremely helpful and may assist in alleviating period pains and arthritis pain. Cupping Therapy uses glass or plastic cups to create localised pressure by creating a vacuum using heat or suction. This draws stagnant chi (energy) and blood to the surface. Cupping is often used to relieve colds and influenza. Another healing aspect of cupping therapy is the release of toxins in the body. The suction from the cups can penetrate deep into the tissues, causing them to release harmful toxins. It triggers the lymphatic system, clears the blood vessels and stretches and activates the skin.